If you were paying attention to the internet yesterday there was panic over the end of bubble wrap. Could you imagine the world without the insatiable pleasure of popping those little bubbles? No way! 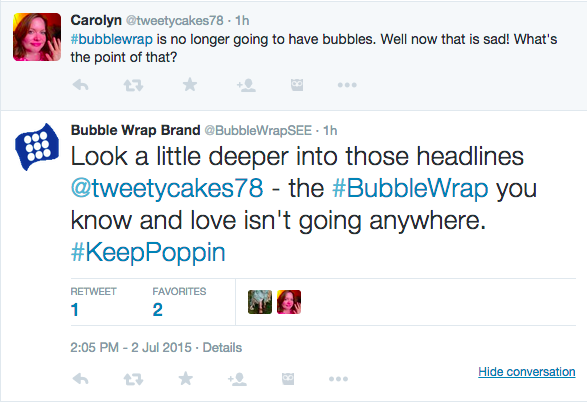 The conversation started on social media channels after Mashable.com and other media outlets shared posts about the end of bubble wrap. 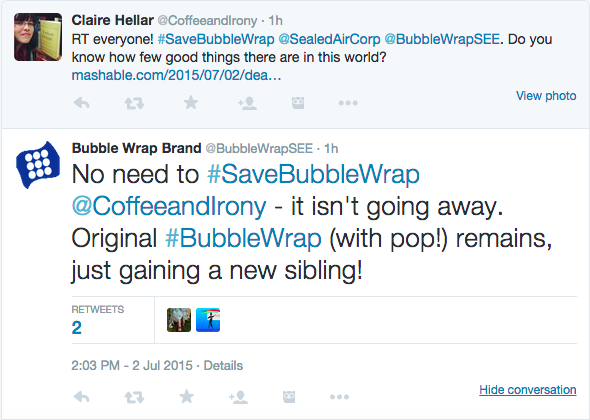 The source of these posts was an article on the Wall Street Journal titled: Revamped Bubble Wrap Loses Its Pop. The article touched on the loss of sales for bubble wrap and the introduction of a new packaging product that targets space-conscious shippers called iBubble Wrap. The thing that created the panic, and had people grieving over the loss of one of the biggest pleasures in life, is that iBubble Wrap DOES NOT POP! This would be a tragedy. Luckily, after doing more research trying to get to the bottom of this topic, we found that bubble wrap is not dead. 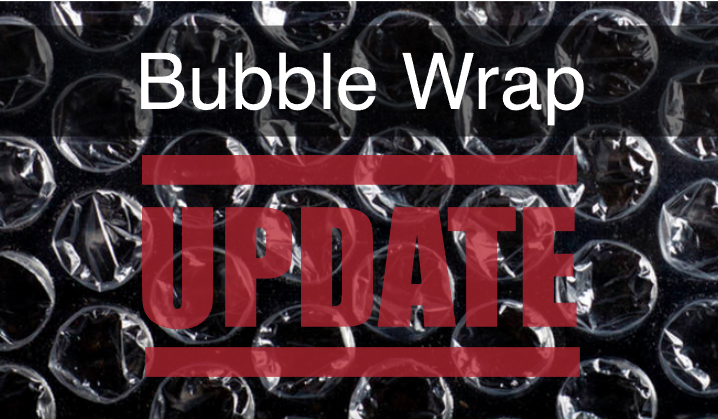 We found a post on Bay 9 News where they mentioned that they spoke with the Bubble Wrap brand and it was assured that the product was still being produced, even if its sales were dropping. They are just expanding their product line. Bubble wrap, on top of being the joy of unwrapping, it is a shipping supply used to protect fragile items in packaging. It was invented in 1957 by engineers Alfred Fielding and Marc Chavannes. They were in the process of designing a new type of textured wallpaper and tried gluing to shower curtains together. They noticed that some air was trapped in between the two sheets creating a layer of bubbles. The idea of marketing this wallpaper as protective packaging happened after Marc Chavanne imagined that the clouds were cushioning his landing during a flight. It was then we he found a different use for his wallpaper. Here at ibox Packaging we carry bubble wrap in multiple sizes for your packaging needs. For more information, or questions about shipping supplies and bubble wrap please contact us. Also, sign up to our newsletter for more information, company updates, price specials, and more.